Hello friends! I owe you all a super big apology for my absence here on the blog over the last 2 weeks. You see, some big changes have been occurring in my life recently. I just got married! My wonderful husband, Brian, & I dated for nearly 3 years & he popped the question back in September. Being a designer combined with my strong willed detail oriented personality, I decided to take on the task of planning & creating our wedding & reception. I seriously could have used a clone over the last few months! Planning a wedding can be a full time job in itself, even if it’s a small one like ours was (we had 24 guests). Add to this my full time job as an interior designer, mommy to my very active sweet five year old, fiance, daughter to the greatest parents on earth, Good Morning Texas, and active philanthropist & charity involvement… well ~ I hope you can understand why blogging was put on hold for a while. I typically blog late at night after my daughter goes to bed or early in the morning before she gets up. However, with the wedding fast approaching & traveling for a big project I’m working on in California, it seems that there just weren’t enough hours in the day. But, now I’m back & I’ve got a full schedule of fun things to share with you including the details of our wedding! 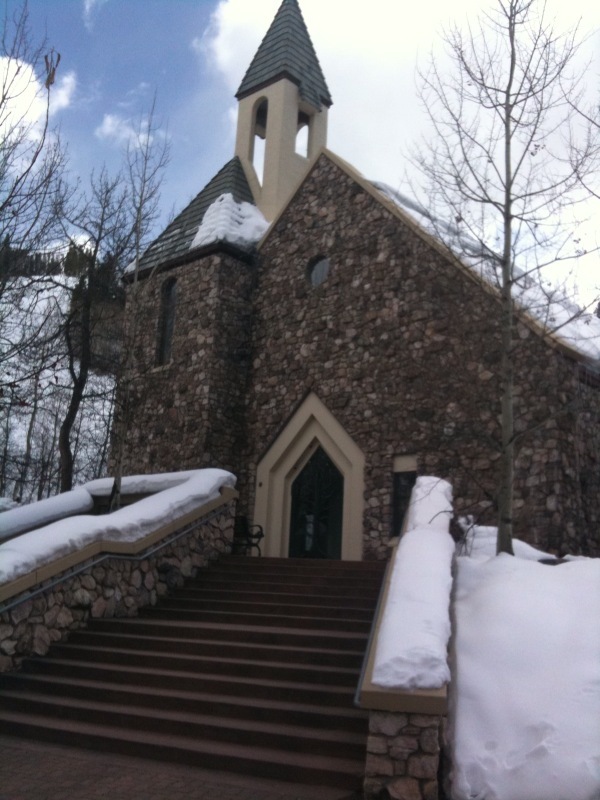 We were married in Beaver Creek, Colorado on March 6, 2010 at the Beaver Creek Chapel (see photo). It was the most wonderful day of my life (next to the birth of my daughter of course!) My daughter, Jaylie (only 5 years old) gave a toast at the reception (her request) that brought us all to our knees. My stomach flittered with pride & glee at how grown up and thoughtful her words were. Brian is such a blessing to my life & my sweet little girl. We are beyond blessed & so very excited about our new little family & all of the new beginnings. So stay tuned for lots of fun in the design world & an inside look & behind the scenes details of our winter wedding in Beaver Creek.